Infinity are lovely mules with 2 crossed straps on the top, fully lined with lambskin. Here in black rigid calfskin. Infinity are lovely slipper style sandals with 2 crossed dark grey leather straps on the top, fully lined with lambskin. 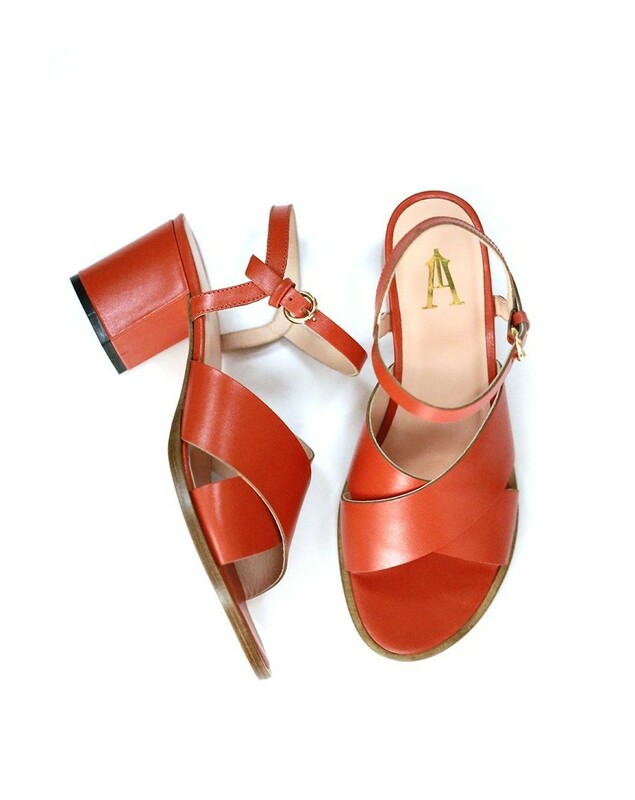 Infinity are lovely slipper style sandals with 2 crossed cognac leather straps on the top, fully lined with lambskin. Infinity are lovely mules with 2 crossed lemon calfskin straps on the top, fully lined with lambskin. Infinity are lovely mules with 2 crossed straps on the top, fully lined with lambskin. Here made from our unique "Scarabet" leather. It is a soft metalic hologram effect calfskin, with black, red, blue, orange, green, yellow...reflections. Infinity are lovely mules with 2 crossed straps on the top, fully lined with lambskin. Here in silver metalic sheep washed leather with a crackled look. Discover our perfect heel sandals of the season designed with 2 crossed black metallic leather straps that flatteringly frame the foot. 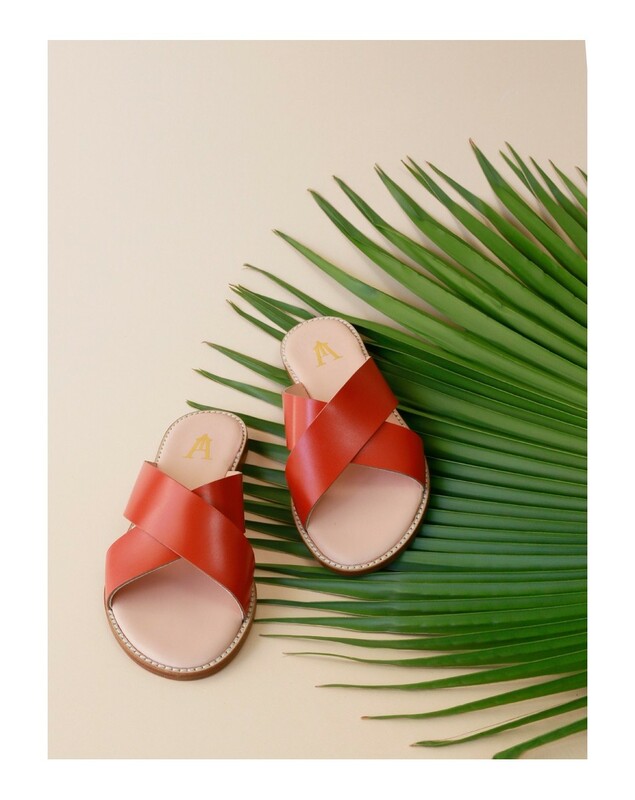 Discover our perfect heel sandals of the season designed with 2 crossed cognac leather straps that flatteringly frame the foot. Discover our perfect heel sandals of the season designed with 2 crossed silver metallic leather straps that flatteringly frame the foot. 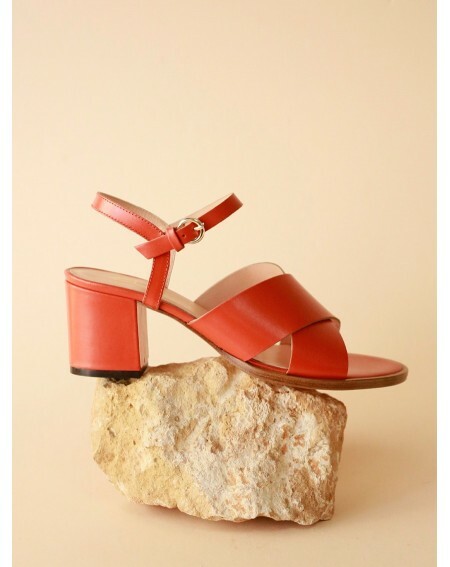 Discover our perfect heel sandals of the season designed with 2 crossed terracotta metallic leather straps that flatteringly frame the foot. 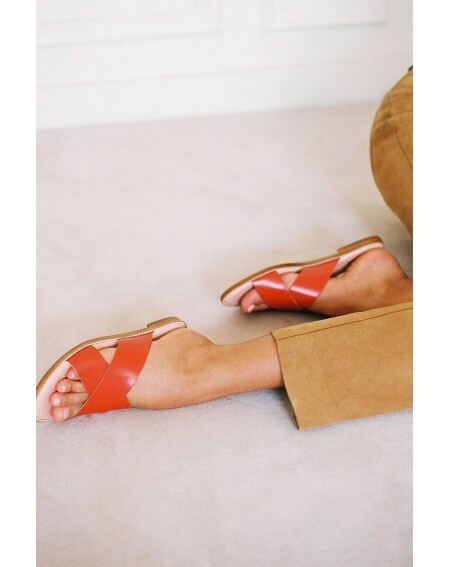 Infinity are lovely mules with 2 crossed straps on the top, fully lined with lambskin. Here in terracotta metalic sheep washed leather with a crackled look.